The actor’s gifts of properties to his wife total around $100 million HKD. Impressing viewers with his comeback drama The Learning Curve of a Warlord <大帥哥>, 53-year-old Dicky Cheung (張衛健) is an avid property investor as well. Besides his 5,000 square feet luxurious love nest in Beijing which was recently revealed to the public, the actor also invests in numerous properties in Hong Kong and Mainland China. 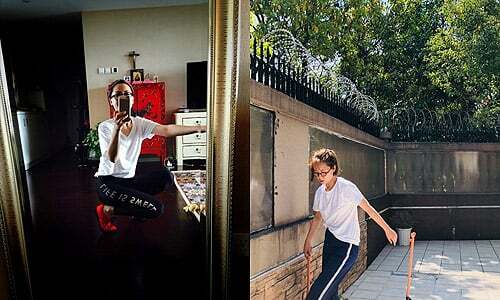 Known for being a loving husband, Dicky and his wife share a 5,000 square feet residence in Beijing’s prestigious Chaoyang district which is equipped with a balcony and back garden. 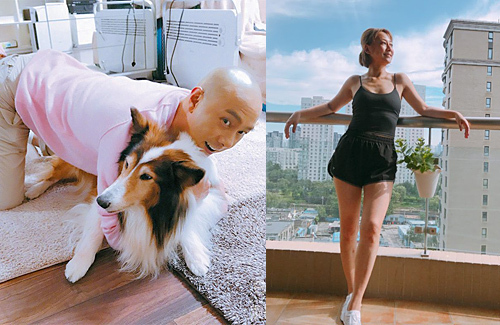 Their white-themed apartment is simple yet homely, and is equipped with a gym room for Dicky’s wife Jess Zhang (張茜平) to work up a sweat anytime. As devout Christians, a red antique closet in their living room is filled with religious decor while an oil painting of the couple with their beloved Scotch Collie decorate the other end. Completing the homely feel is a white-themed guest room where Dicky enjoys playing with his dog of 13 years. Other than their main home, Dicky owns two other units in Beijing, all of which are estimated to be worth at least $70 million HKD. He also owns six other properties in Hong Kong which have risen in value over the years, amounting to around $140 million HKD. Of these, he co-owns three units at the upscale Grand Promenade with his wife. 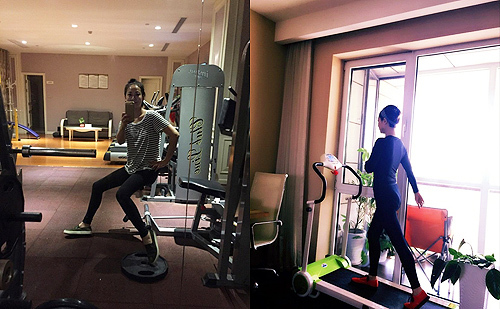 The Mainland properties he has gifted her are estimated to have a combined market value of around $100 million HKD. Besides pampering his wife with properties, Dicky also travels with her whenever he has free time. The couple has visited France and recently went to Africa. I find it strange how some husbands treat their wives so well but yet some treat their siblings and even parents in some cases very bad. I still do not understand that. I watched the interviewed he had with 汪曼玲 about his past failure in relationships and in his early career with TVB. The guy never gave up and kept reaching for his goals and at the end, he succeed it. He also talked about how his wife was there for him when he didn’t have much. I guess now through actions he shows her his appreciation for being there for him at the lowest point of his life. That type of woman is the best and definitely a keeper. Hat off to you Dicky, you are indeed a good guy! Many happiness and success in the coming new year Sir!